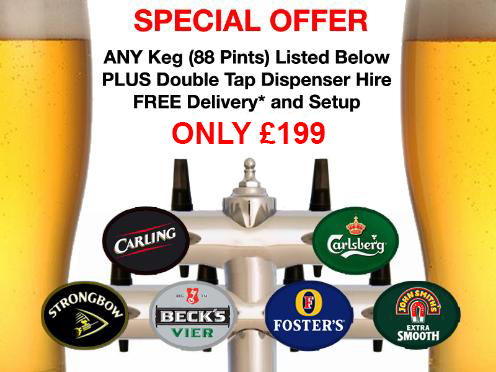 We can supply most premium and continental beers so should you require anything different such as speciality beverages, or larger scale catering, contact us for a quote. For prices of Draught Prosecco and Wine or Cask Beers and Ales, please visit their pages for a full price list. Disposable plastic glasses can be supplied in various quantities and sizes at an extra cost so you are ready to start pouring straight away.